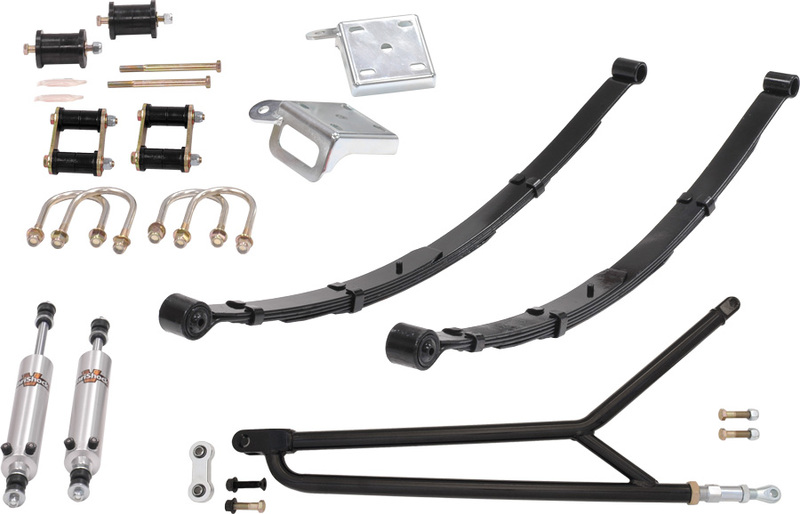 Stage 1 - Leaf springs, polyurethane bushings and shackle set, aluminum-body shocks, leaf-spring plates, and mounting hardware. 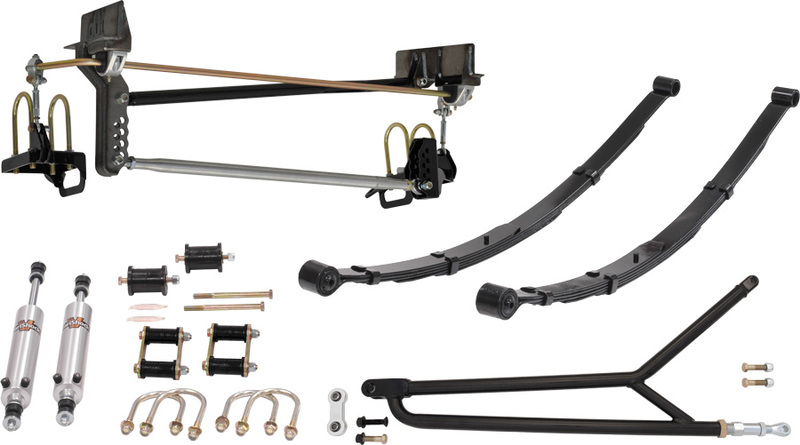 Stage 5 - Torque arm, leaf springs, polyurethane bushings and shackle set, aluminum-body shocks, leaf-spring plates, and mounting hardware. 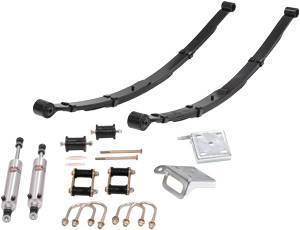 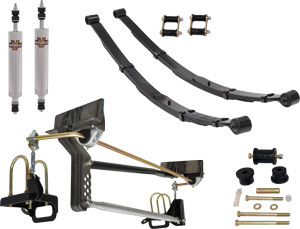 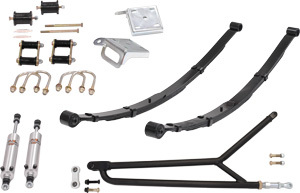 Our panhard bar system for leaf-spring suspensions greatly improves vehicle handling response by providing superior control over side-to-side movement of the rearend housing.